Tired of phones at your dinner table? Take a break. Here’s how. It seems like pretty much everyone has a smartphone these days. And, I have to admit, they’re pretty awesome. Wikipedia and Facebook always by my side? Yes please. But, sometimes we need to take a break from our apps. A sit down dinner is certainly one of those moments. Dinnertime, especially with younger kids, should be about enjoying each other’s company, and talking about the day and important issues. The phones should be off—even if it’s just for 30 minutes. Here are a few tips to help your family turn off the phones and make dinnertime matter. Perhaps the best way to take a break from the smartphone is to set out clear rules about using them at the dinner table. Set a time during the week and have a conversation with everyone who regularly eats dinner together in your household. Make it clear that pulling out the phone during dinner is not okay and that this is a new house rule. If someone does use their phone during dinner immediately remind them about the rule and that they agreed to follow it. I might take a few weeks for this rule to become the norm but stay strong! Sure, we all want to have smartphone free dinners but it’s hard. With work, friends, and updates from social media, seriously taking a break from the phone is a challenge. Especially for adults. 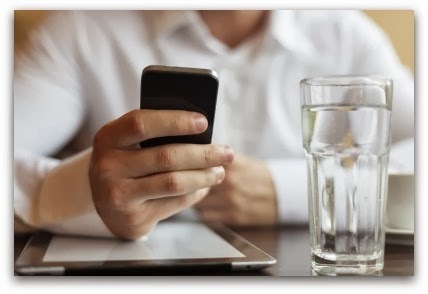 Your “no phones at dinner” expectations will be taken more seriously when everyone sees how seriously you’re taking it (this is especially helpful when you’re normally attached to your phone or tablet or labtop). Letting everyone know when you’re putting away your phone for dinner can help to remind others that it’s time to do the same. So this might seem a little extreme but it works. Set up a container – even if it's just an old whicker basket—that all the phones go into before dinner. Put the container far away from the table so that even if a phone rings or buzzes or beeps you won’t be tempted to check it. 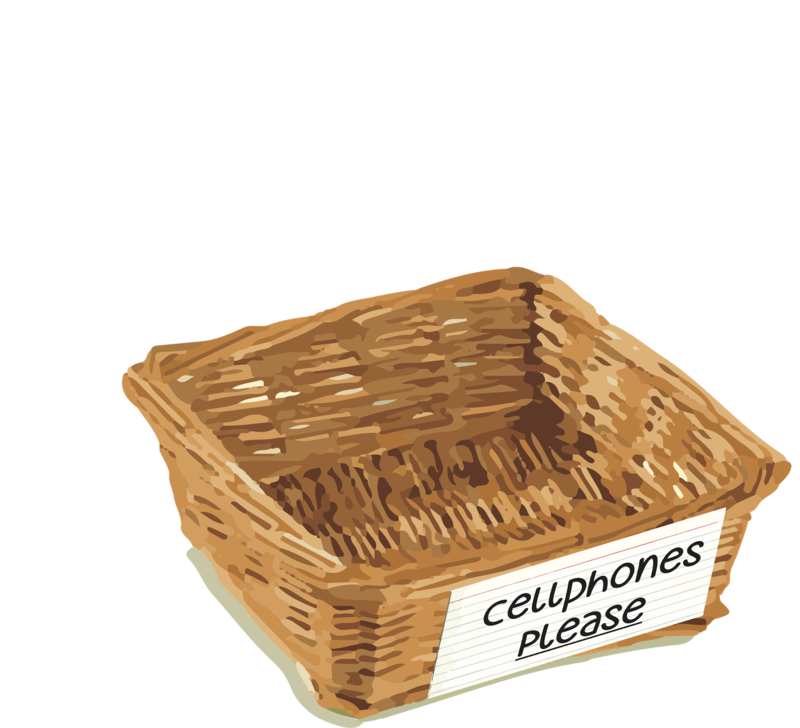 At big family gatherings, try setting up a “cell phone” basket to collect everyone’s phone. Designate someone as the cellphone monitor. After thanking guests for coming, the monitor should present them with the basket (pictured right) and let them know that you’re serious. Having phones already in the basket is a must. I personally do this at every big family dinner or Sunday supper and it always works. Use your phone to help plan and create homemade meals, not to distract from them.